After a day of walking Baltimore's inner harbor and Little Italy, we were ready for some serious food. We walked over to Canton-Highlandtown for dinner at a bar serving some of the best bar food in Baltimore. 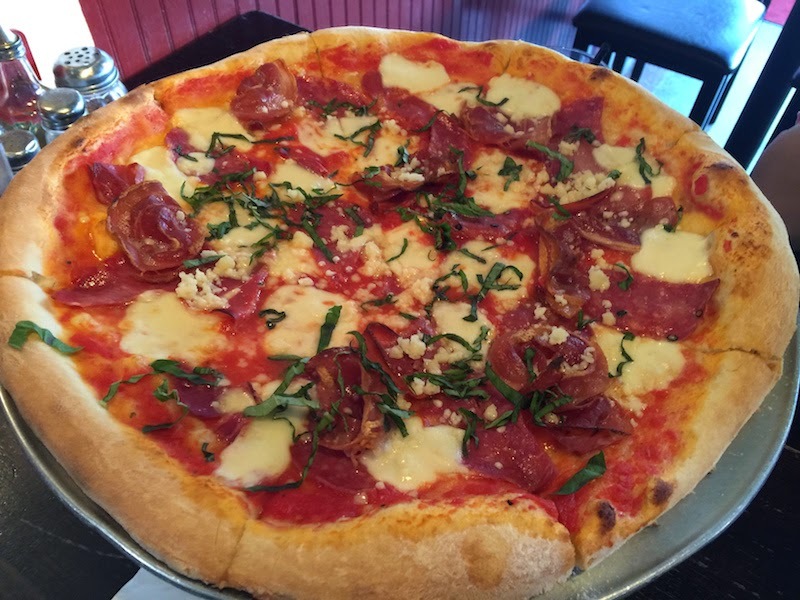 Read my full review of Johnny Rad's Pizzeria Tavern as seen on Diners, Drive-Ins, and Dives after the break. Johnny Rad's is one of the recent Baltimore joints visited by Guy Fieri and his DDD crew. It's mostly a bar, with some tables and a dining room in back, and a few tables out on the sidewalk. There are lots of beers to choose from. 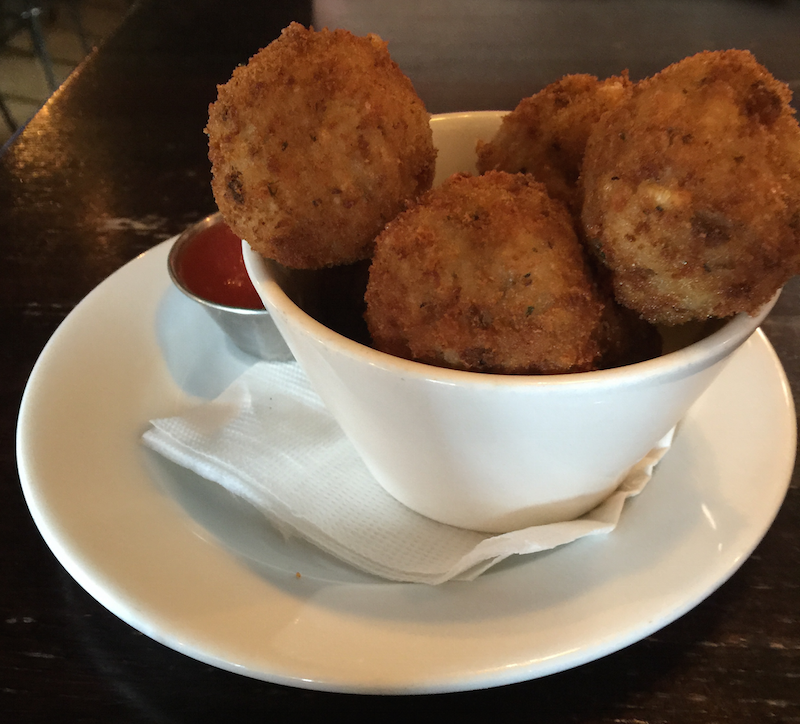 We tried the fried risotto balls for an appetizer. 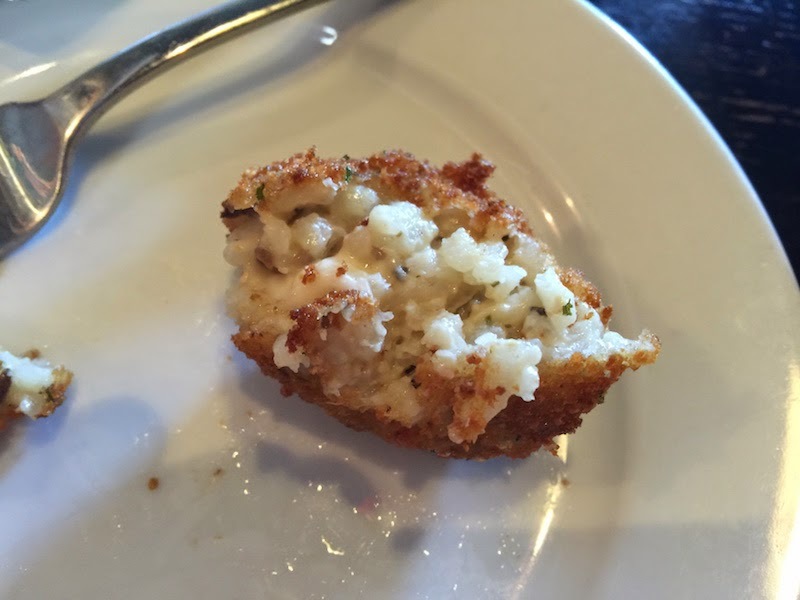 These are risotto wrapped around a chunk of mozzarella cheese, rolled into a ball, breaded, and fried. They are served with marinara sauce on the side. These were really good. Not greasy, and the cheese added a nice flavor to the risotto. Johnny's has many different pizzas (or build your own) in two sizes. They are served on a thin crust. 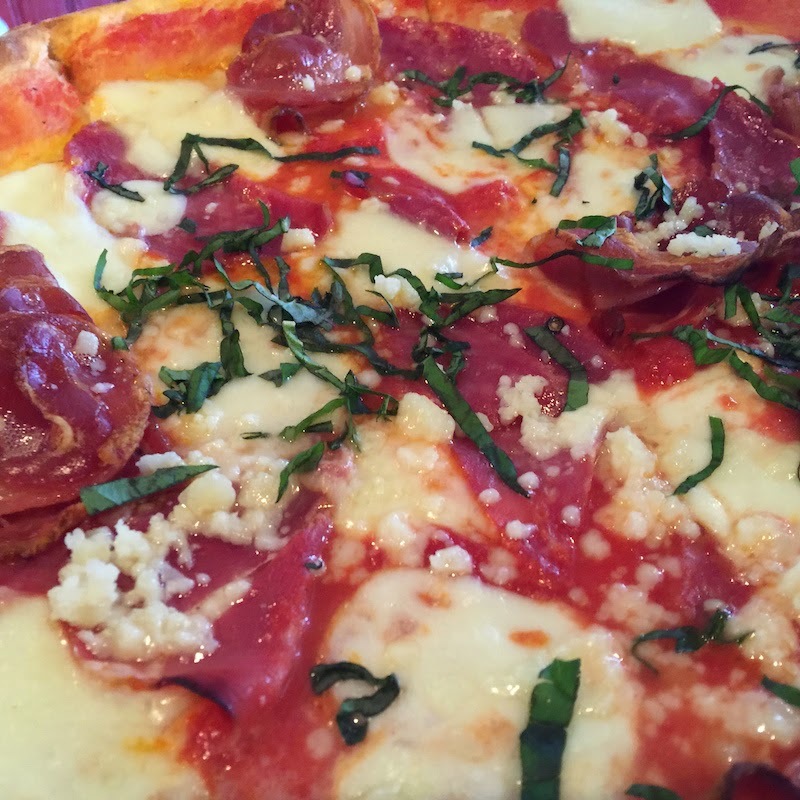 We got the A-1 pizza which is tomato sauce, olive oil, mozzarella, pancetta, prosciutto, and sopressata. Basil is sprinkled on top. The fine quality of the meats made this a very good pizza, and the crust had a very good flavor too. You can get a full salad, or cut it in half. 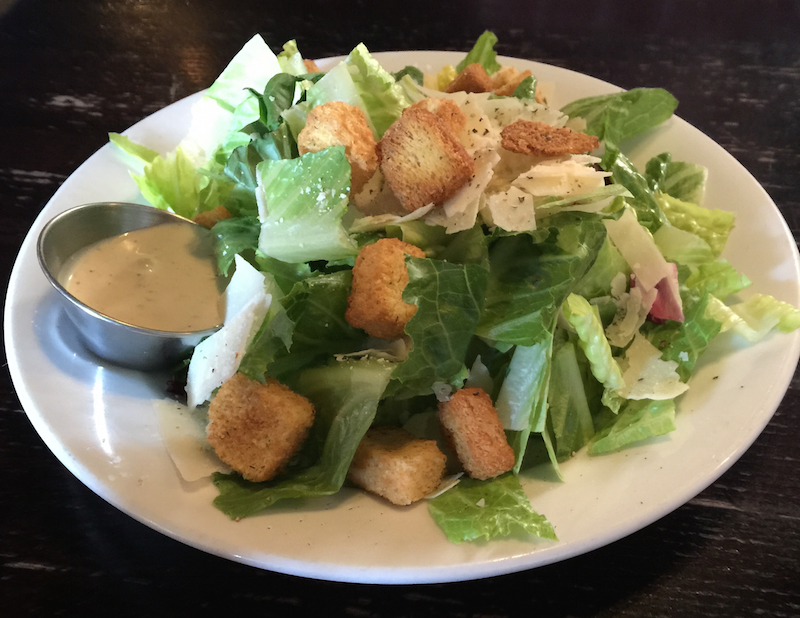 I got half of a Caesar salad. The greens were fresh and it went well with the pizza and risotto balls. 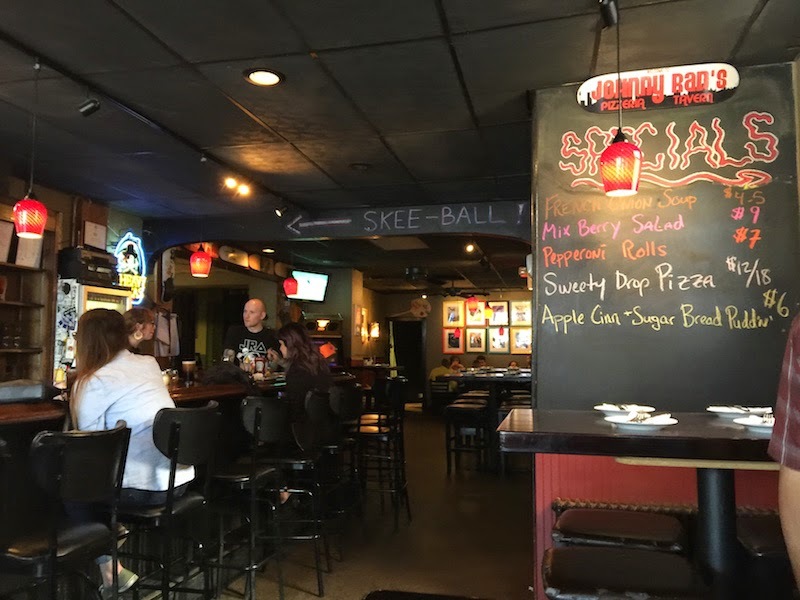 Johnny's is definitely a great place for pizza and beer, and be sure to try the fried risotto balls while you are there.